With the average person spending three hours or more on social networking sites every day, Brandlective Communications, a London-based online marketing and brand development firm delve into the successful and sometime strange world of social media. Social media is no longer just for interacting with friends or tweeting humorous messages to celebrities. An increasing number of businesses are utilising social media’s popularity in order to improve their reputation and spread their business’ message. Brandlective Communications specialise in providing online branding and public relations solutions to clients to increase their online visibility and drive a higher percentage of web traffic to their social media platforms and website. To highlight the importance of social media, Brandlective Communications have complied 6 of the most astounding and interesting facts about the world of social media. 1. There are 1.4 billion Facebook users, which is 11% of all people on earth. 2. Twitter, because of its unfamiliar concept, wasn’t an instant hit when launched; now sees around 190 million tweets sent a day. Facebook seeing a 46 per cent increase in 55-65 year olds, and Google+ seeing a 56 per cent rise, brands are starting to shift their approach to appeal to the increase of older people regularly using social media. 4. Many believe social media is an important part of modern life, and no more it seems than the Icelandic government, who used Facebook to help rewrite its constitution. After the initial constitution was drawn up, Icelandic citizens were invited to suggest amendments through the social media site. 5. Many businesses are unsure of how social media could help their business, however recent statistics show that 91 per cent of twitter users are talking about brands regularly. Whilst 64 per cent of consumers have made purchase decisions based on social media, which just goes to show that done right, social media can have a massive impact for businesses. 6. Finally, and probably most worryingly, singers Katy Perry, Lady Gaga and Justin Bieber have more twitter followers than the entire populations of Germany, Egypt, Canada, Argentina, Turkey and South Africa. Effective social media management can be crucial for small businesses, which otherwise may only rely on word of mouth business recommendations or local trade. By using the right social networks small businesses can open up an entirely new client base and attract new customers, which will have a knock on effect on their reputation and SEO. Among their many online services, Brandlective Communications provide a full social media management service, ideal for business owners who maybe aren’t particularly confident in their social media abilities, or who find the task too time consuming to fit into their working practices. Brandlective Communications help build a positive reputation for their clients through monitoring social media trends and creating regular and engaging content relevant to their individual business sectors. 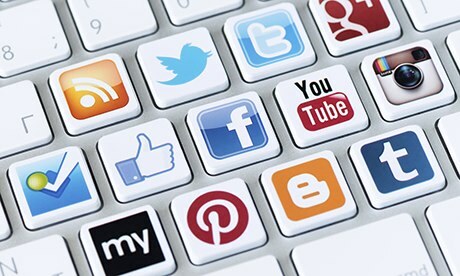 In order to get the most out of social media Brandlective Communications will help businesses identify which networks would work best for them in order to target the desired audience, and dedicates time to assessing statistics for each sites engagement levels and popularity among possible consumers.